We can often find that people debate in a subject that astrology works or not. Some are in favor of astrology and take it as a science but some take it as superstition. This debate is going on for decades. There are many real astrologers who are regularly making research and guiding people on the basis of astrology principles and proving that this is a real science. People know about their future life, job or business success, time of marriage, love life, name, fame in society by using astrology. It is the study of impact of celestial bodies on human and related activities. Another important thing to know about astrology is that this is the only subject which can reveal the future happenings and for which people have keen interest. Every one want to know what is hidden in future, what to do to avoid misshapen, loss, bad luck. Those who have not studied the principles and and not consulted any experienced astrologer believe that astrology is merely a myth but astrology lovers have already experienced that how planets are impacting life regularly. So Astrology is a proved science with millions of followers all over the world. Read about impact of retrograde planets in jyotish. We can see that no 2 horoscopes are same, the planetary arrangements, there degree, birth star etc are different and as per this personality, behavior, attitude etc. differ from person to person. Astrology is a predictive science not a life changing science but people every time get cheated by fake astrologers who misguide them that their life will change miraculously. Through astrology we can know about the good and bad periods and by this we can take decisions to minimize risks, problems etc. We can also predict about the qualities in a person as per the impact of planets on him or her which will certainly help person to move in life. On the basis of this astrologer guide a person to choose career/work/livelihood/subjects. In vedic astrology we study the 9 planets in horoscope i.e. sun, moon, mars, mercury, Jupiter, venus, Saturn, rahu, ketu. In vedic jyotish we also study the 12 houses present in horoscope which represent different segments of life. Astrology also clear in which time period which planet impact will be more and how it affect the life and people are experiencing the same. So anyone believe or not but astrology works. Everyone life is running under impact of stars, planets and real astrologer, best astrologer provide predictions based on movements of planets time to time. Some also complains about fail of predictions, this is true but it depends upon the knowledge and experience of astrologer and the birth details given by the person. There are many persons all over the world who don’t have any degree in astrology but they are famous for there predictions on the other hand many degree holders fails in making true predictions. So every subject need passion, interest and regular research. Astrology is a sea and no one can complete in one life. If you know the importance/significance of astrology then no doubt you can easily take the benefit of this predictive science and take good decisions in life by getting in-depth analysis report from astrologer. So believe or not astrology works and a proved science of study of planets, stars and celestial bodies. 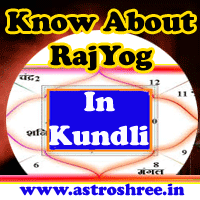 What astrology is truly, why astrology work, some important points related to jyotish. How Astrology Works, why astrology work, some important points related to jyotish.